So, you want to keep chickens? The first thing you need to figure out when starting keeping hens is how much space you have available and how many chickens you would like to keep. On average a chicken will lay 4 times a week (although in Winter months this may slow down or stop until Spring). A family of four may eat 1½ dozen eggs a week and so, on this basis, 4 or 5 chickens should satisfy their egg needs. In terms of space the chicken coop itself will need to have at least 2sqft (0.2M2)of space per bird (minimum recommendation is 1sqft (0.1M2)per bird), which should include areas on which to perch. In addition to this nesting boxes are needed with at least 1 nest box per 3 birds. The run or enclosure will ideally give the chickens 6sqft (0.5M2) per bird (minimum recommendation is 4sqft (0.37M2) per bird) and you will need to decide whether or not the run is built to keep the chickens in, keep the fox out or whether you intend to allow free range. When building a run to keep Mr Fox at bay you will need to use weld mesh, place a roof on the run and dig the mesh into the ground to stop Mr Fox climbing, digging or biting his way into the run. 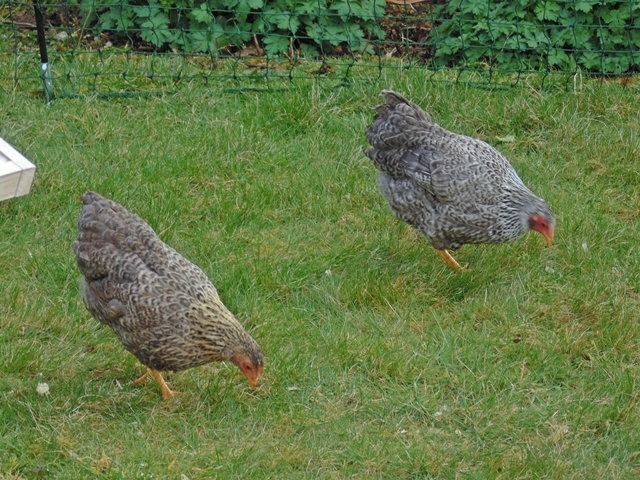 A run to keep the chickens in will need to be at least 5 ft (1.5M) high, although some lighter birds may be able to clear this, so wing clipping may also be an option for the more flighty birds. Free ranging will give the chickens the most enjoyment, however please remember they can be very destructive! Three chickens in small garden can soon destroy flowerbeds and the lawn if left to fully free range. If you have a large garden or area of land this is not so much of a concern. Which Chicken Breed to Choose? Different breeds lay different sized and coloured eggs and they also have different temperaments. If you have limited space you may with to choose Bantams as they are smaller in size and they will still lay you on average 4 smaller sized eggs a week per bird. If you would like a range of colours and sizes in eggs a Cream Legbar will lay you a medium sized blue coloured egg, a Maran will lay you a dark speckled and usually large egg and a Leghorn a white medium to large sized egg. 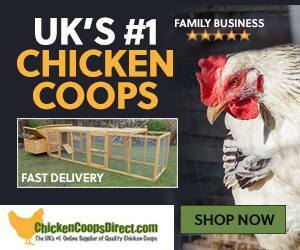 When buying chickens you need to find a reputable breeder who knows their flock and keeps them in small flock with plenty of space in both coop and run. Visit a couple of local breeders before deciding whom to buy from. Ask to see the breeding pairs and make sure they are not related (ask the seller). Check for mucky bums or sore looking feet as these can be signs of cramped conditions or illness. Also check they don’t seem to have any sniffles, sneezing or runny eyes as this too is a sign of illness in the flock. You should also check with the breeder what the chickens are fed on, when they were last wormed and whether they have had any recent outbreaks of lice or mites and if vaccinated.